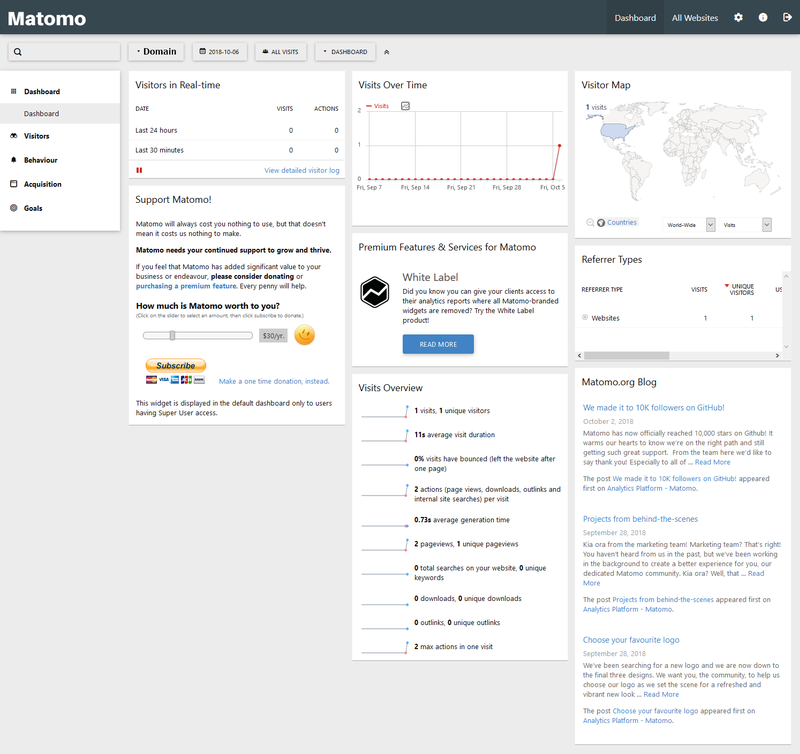 Matomo is an open source analytics software you can install on your server to learn more about those viewing your website. 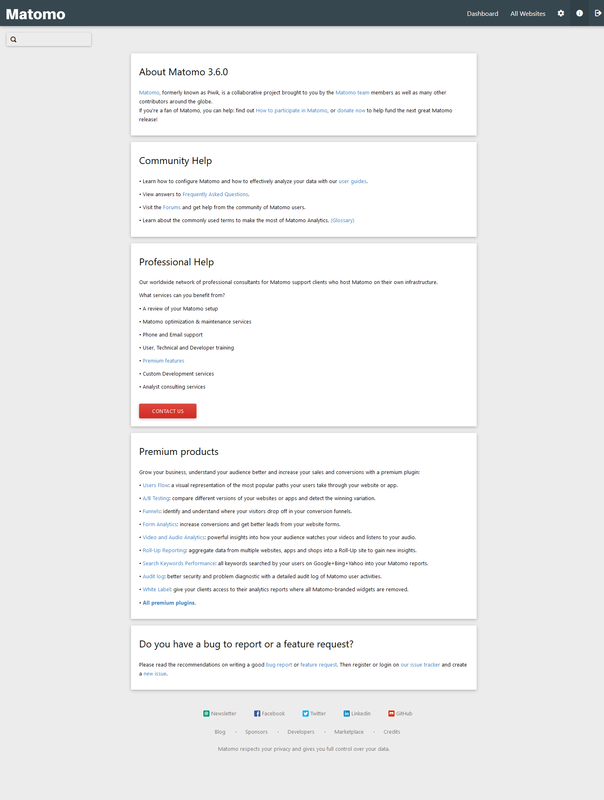 Those using a content management system (CMS) such as WordPress can manage it from the website dashboard. 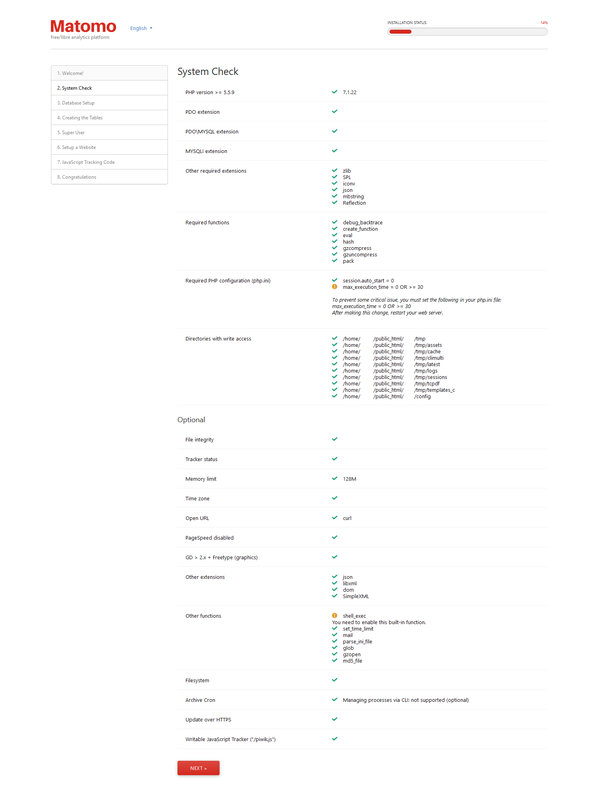 Formally Piwik Analytics, Matomo has few requirements needing adjustment on InMotion Hosting servers other than PHP 5.6 or later. Note: shell_exec cannot be enabled on shared servers. Those with Softaculous can install Matamo there and continue the setup from there. Those without Softaculous can upload the installation file within minutes and easily get started. Download the zip file from Matomo.org. Extract the zip file to the public_html directory. 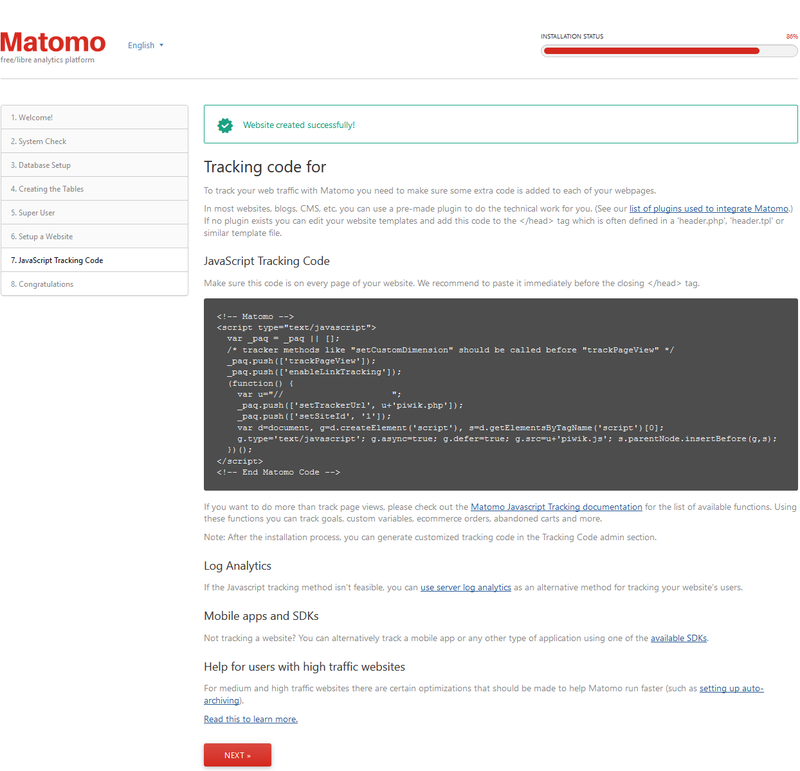 It'll export Matomo to a /piwik folder and How to install Matomo.html file which redirects to Matomo official instructions. Change the folder name from /piwik if you'd prefer a different Matomo URL than domain.com/piwik. You can create a subdomain in cPanel to use sub/domain.com. 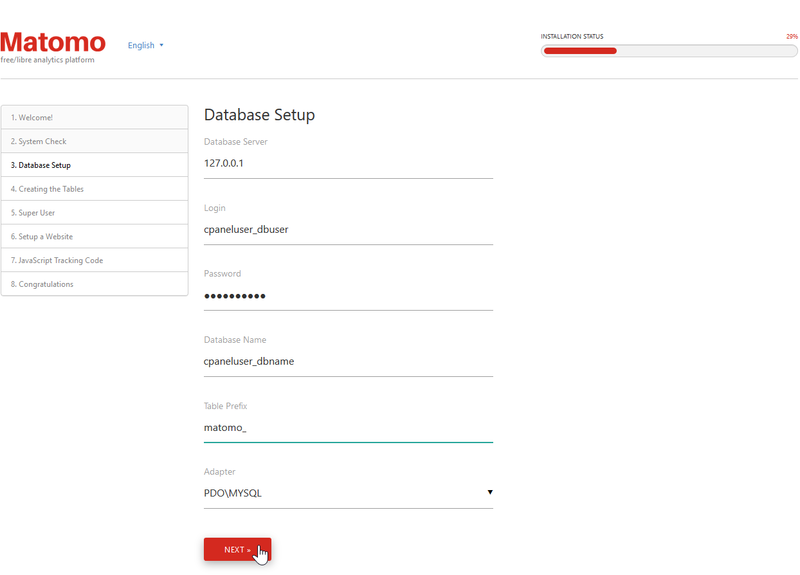 Create a MySQL database and user with all privileges to the database. Note:The default port is 3306. If your server uses a different port, you can enter it after the hostname. 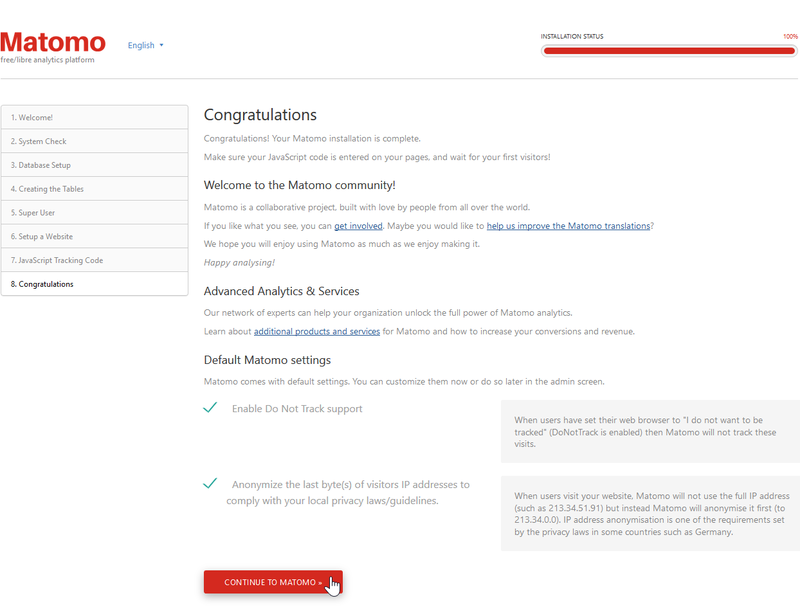 Type the subdomain URL of the extracted Matomo installation in your web browser. For example, if you extracted Matomo in the "public_html/analytics" folder, the URL would be domain.com/analytics. The next screen will show how your server meets Matomo's requirements. Fill in the database user, user password, and database name. Select Next under the database creation confirmation. 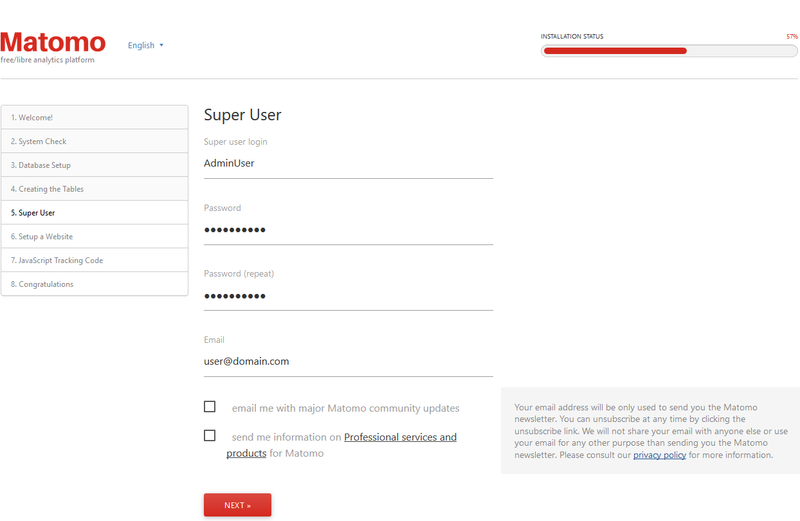 Specify a super user name, password, and email account. 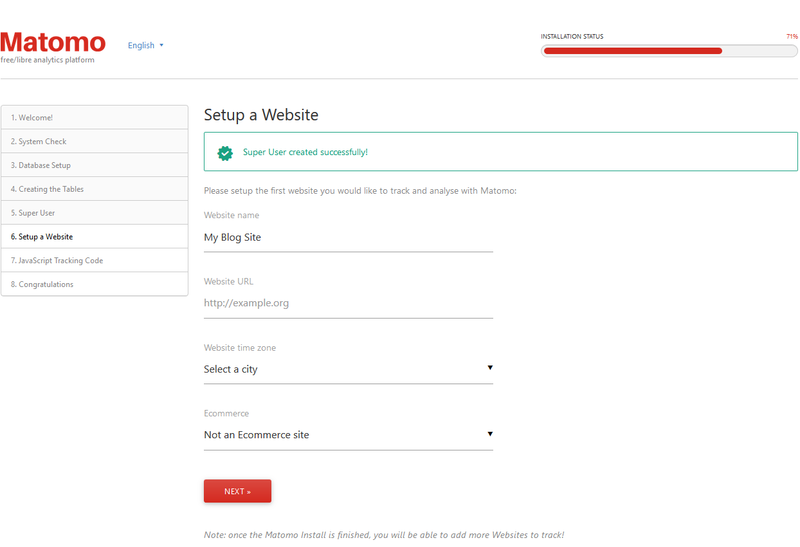 Fill in your website, URL, preferred timezone, and whether its an Ecommerce site. 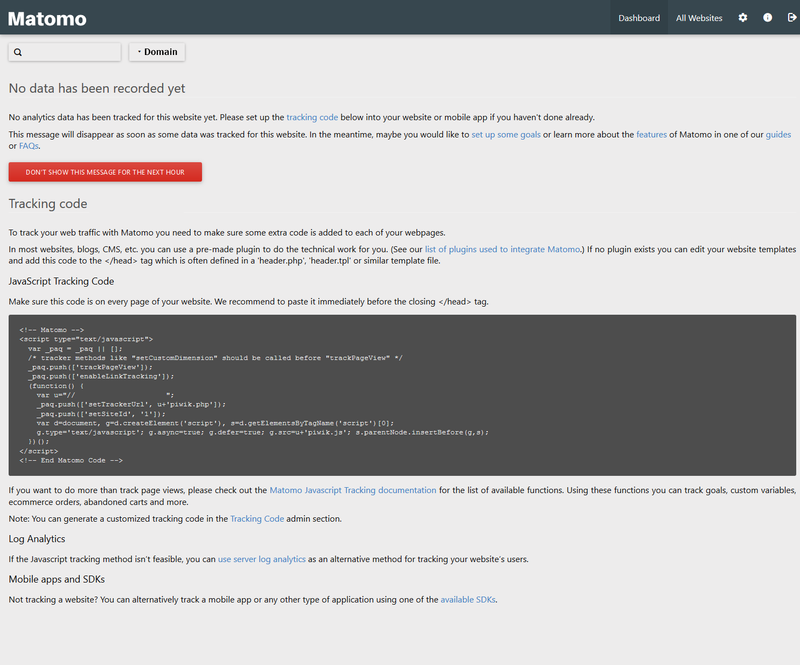 Note: Those using a CMS can install an integration plugin recommended by Matomo instead. 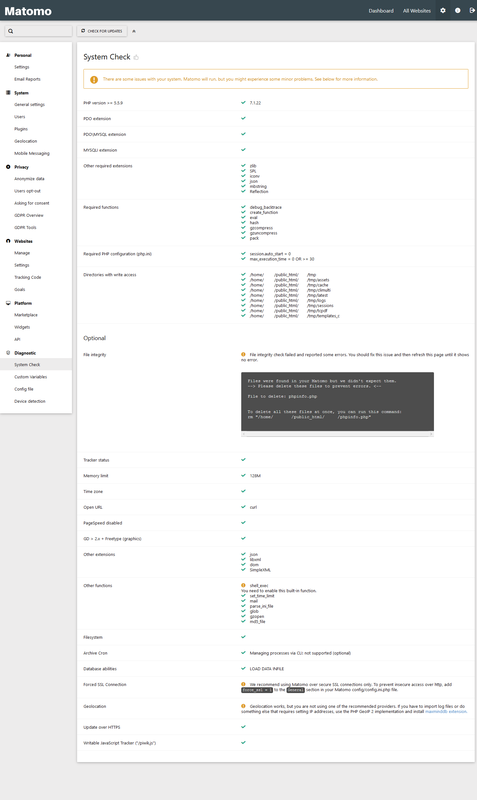 Alternatively, you can set up server-side analytics. Choose whether to leave Enable Do Not Track and Anonymize visitors IP addresses enabled before continuing to the Matomo login screen. 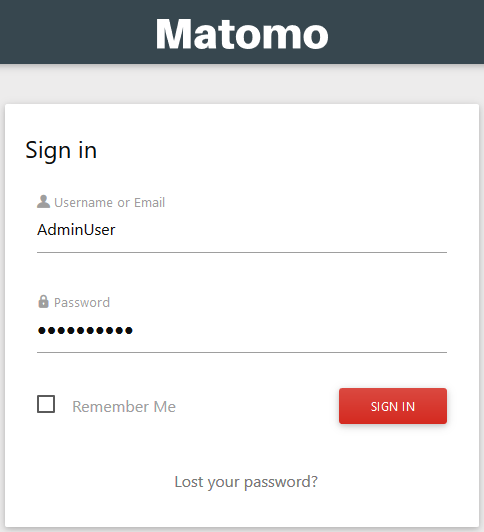 Login Matomo with your Admin user and password. Dashboard The normal dashboard which shows after analytics are recorded.